If your belly is sapping your body confidence, don't despair. The reason for your puffy midsection may well be bloat, not fat. That's because one of the worst culprits for this problem—a slow digestive system—is common among women over age 40. However, exciting research now suggests you can get your digestion moving and beat bloat with a few easy menu and lifestyle tweaks. Put all of these ideas into effect right now, and you should be flatter, sexier, and fitting comfortably into your clothes in less than a week. Why It Beats Bloat: Constipation distends your belly, and one easy way to get rid of it is by starting each morning with a breakfast cereal that guarantees your body a daily dose of fiber. This gets the digestive system moving within a day or so and keeps it that way. Based on a study of breakfast cereals, University of Toronto researchers say that consuming two kinds of fiber at once is most effective. The scientists found that participants had an easier time staying regular with a cereal that contained both insoluble fiber (from bran) and gel-like soluble fiber (from psyllium). The two types work together to pull water into your colon and speed up elimination, explains Joanne Slavin, PhD, a professor of food science and nutrition at the University of Minnesota. The result? You look and feel lighter. 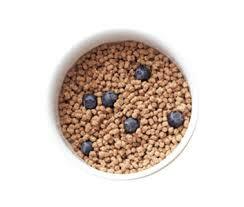 Good Food Fix: Eat ⅓ cup Kellogg's All-Bran Bran Buds each day. Why It Beats Bloat: Sodium makes you retain water, puffing up your belly. Most of us eat more than twice as much sodium as we should—topping 3,400 mg a day, rather than the recommended 1,500, according to the CDC. Good Strategies: Stop salting your food at the table, and check for sodium on the labels of packaged foods, which provide about three-quarters of the daily intake for most women. You can restore your sodium-potassium equilibrium by increasing your potassium intake to an optimum 4,700 mg per day. To do this, you need to eat about 4½ cups of produce daily, including the especially rich sources that are mentioned below. 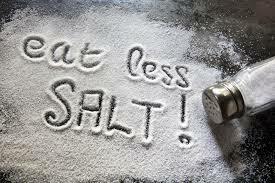 As you rebalance your system, you'll flush out the extra sodium along with the water. Presto: less puffiness. Watch out, though. Food is a safe source of potassium, but supplements are not. They can cause potassium to build up in your body and potentially lead to abnormal heart rhythms and even heart attack, especially in people with kidney or heart problems, says Leslie Bonci, RD, MPH, chief nutrition officer at Come Ready Nutrition. Good Food Fixes: 1 medium baked potato with skin, 1 medium banana, 1 medium papaya, ½ cup steamed edamame, ½ cup tomato sauce, ½ cup cooked spinach, 1 medium orange.